Are experiences that happen in the imagination real enough for us to learn about the world? Of course. It is a foundation of classroom education. We can learn by reading. Learning to read was a struggle. I had the misfortune of being in the same classroom as my super smart older brother who read chapter books in the second grade. "Why can't you read like your brother?" I remember the teacher asking me when I was a first grader. I certainly didn't know. For me learning to read took effort and patience, but I was never worried. I always knew, eventually I would learn to read. I knew because as a preschooler my uncle read chapter books to us. Oh, I suppose he was actually reading to my older brother. They liked the same kind of books. But he let me listen and I could travel in my mind to the place the words directed. It was magic and I wanted it. My parents and my teachers continued to read to me, so I clearly understood what was between the covers of the chapter books that lined the shelves at home, church, and school. I could slowly read picture books, but I wanted to be Nancy Drew and solve all those mysteries myself. It finally happened. The ability of the human mind to travel and participate in a life and time unknown to its body is the joy of reading. That was important to a girl growing up in GriggsDakota. 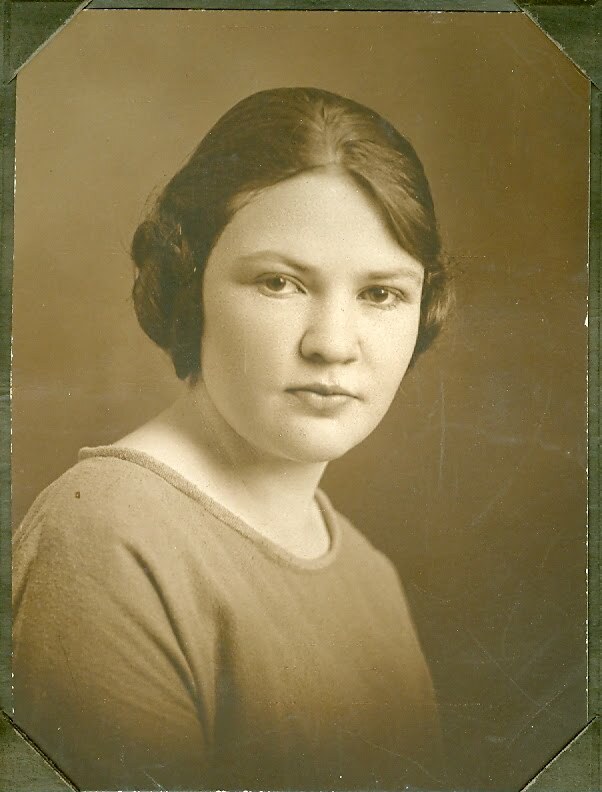 My great aunt, pictured above, also grew up in GriggsDakota. 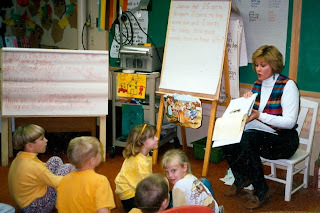 She worked first as an English teacher, then as a librarian. Born in 1905 and still living in her own apartment, she spends part of each day listening to "Talking Books." Provided to her through the State Library because she is legally blind, she "reads" about two books per week. She has a list of available titles and a machine, provided by the library, which plays the special tape recorded texts. Tapes are mailed back and forth. It is an activity that is well worth the effort, because she can still be transported to another world, where her age and limitations are of no consequence. Reading is like a little vacation. A private adventure or secret journey. We are daring, athletic, wise. We travel, have a quick wit, know the correct answer to every question. By the end of the day we know something new. America's favorite children's books were written by Dr. Seuss, who was really Theodor Seuss Geisel. Theodor Seuss Geisel was born in Springfield, Massachusetts on March 2, 1904. My favorite Dr. Seuss book is Horton Hatches an Egg. "An elephant's faithful, one-hundred-percent!" the story tells us. The reader learns that there is value in keeping promises. Dr. Seuss wrote in rhyme and the silliness of the metered text makes his message easy to enjoy. It was a controversial writing style when he started, but time has proven his writing to be relevant and sound. He published nearly 50 children's books before his death in 1991, many are still popular today. Thousands of children will celebrate his 106th birthday by reading in school today. I hope children have an opportunity to read at home tonight, as well. Read out loud. You might inspire a child. Reading is worth the effort, even for those who struggle. And thank you for reading these words from GriggsDakota.